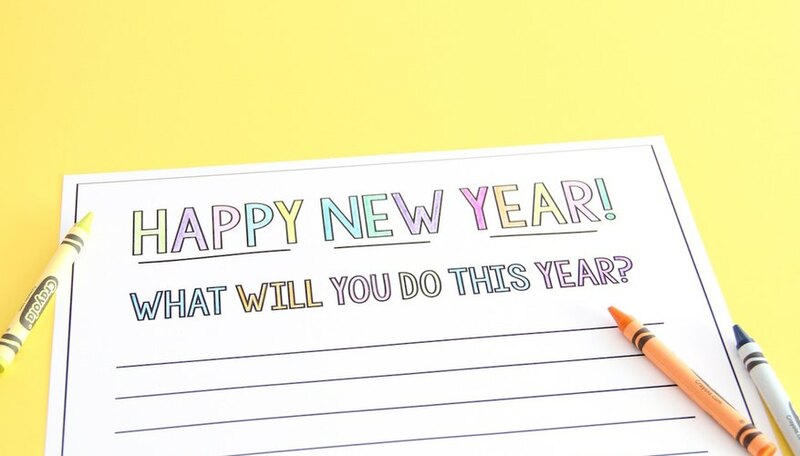 Who doesn't love the New Year's tradition of coming up with resolutions? Not only for yourself, but also with the whole family! 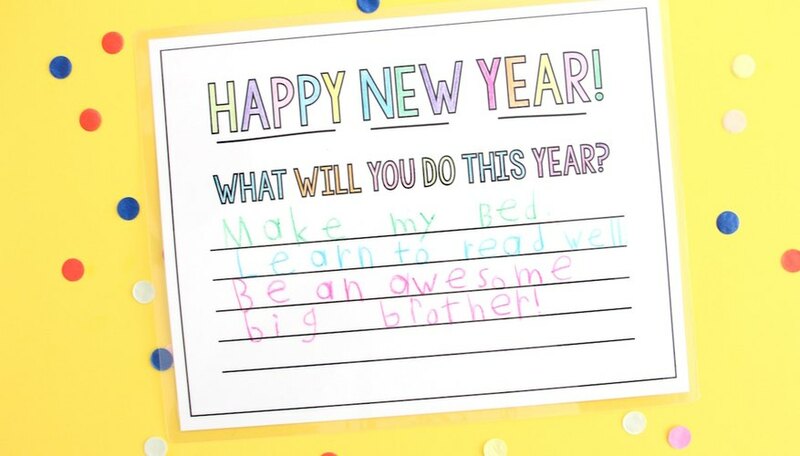 Especially kids — they come up with the cutest and often hilarious resolutions! 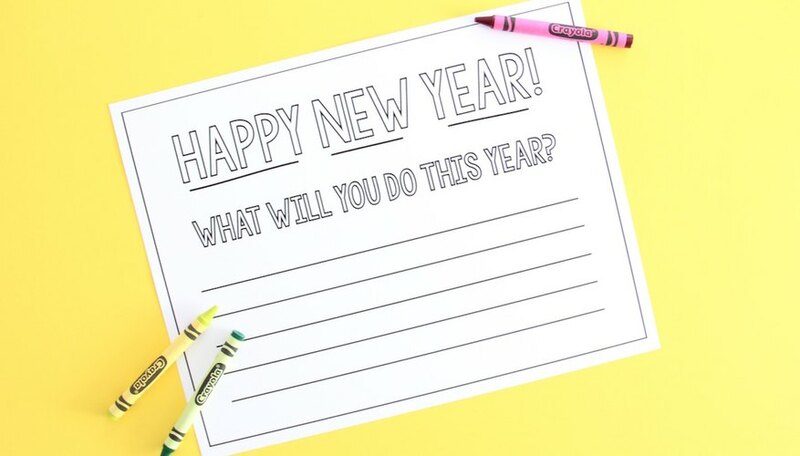 This printable is great to print out for the kids, have them color and fill it out to their heart's content, and keep it safe to help remind them of their goals throughout the year. You can print out the download at home on your own printer. I would recommend using card stock if possible! It makes it sturdier and easier for little hands to work with. Once they are all printed out, grab some crayons (or the colorful instrument of your choosing) and let the kids color in the letters, draw pictures and designs — really whatever they want! Now for the fun part! 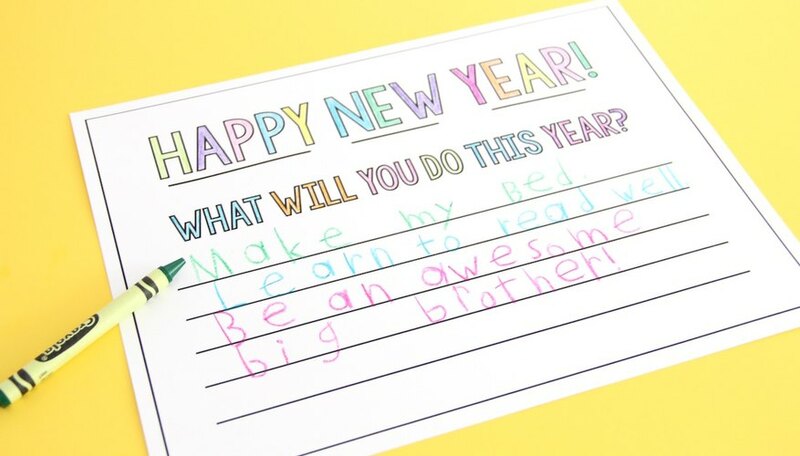 For younger kids, you may need to help them think of some resolutions. My son is going to become a big brother next year, so he's super pumped for the resolution to be an awesome big brother! The older kids usually don't have a hard time coming up with a few things they would like to practice or improve. Either way, it's a lot of fun to see what they come up with! After their resolutions are all written out, take the papers to your local print shop that does laminating (you will thank me for this step later!). I love to use the thickest, sturdiest lamination they have since we are pretty hard on things around our house. Once you have them all laminated, use the placemats during daily meals or stick them up on the fridge as a nice reminder. The lamination will protect them from grimy little hands (you're welcome!). Enjoy, and Happy New Year! Kersey Campbell is the creative mama of one little guy and blogs daily over on And We Play – a site filled with DIYs for kids, products they love as a family, and their adventures in daily life.